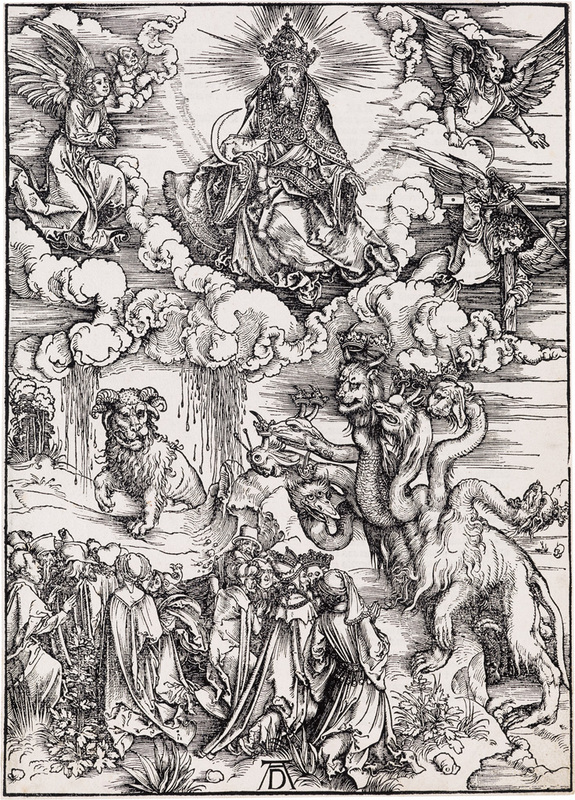 An exceptional selection of Old Master prints by visionaries such as Rembrandt van Rijn and Albrecht Dürer is led by the latter’s engraving Melencolia I, 1514. Further masterworks include prints by Francisco José de Goya, Giovanni B. Piranesi and Martin Schongauer. 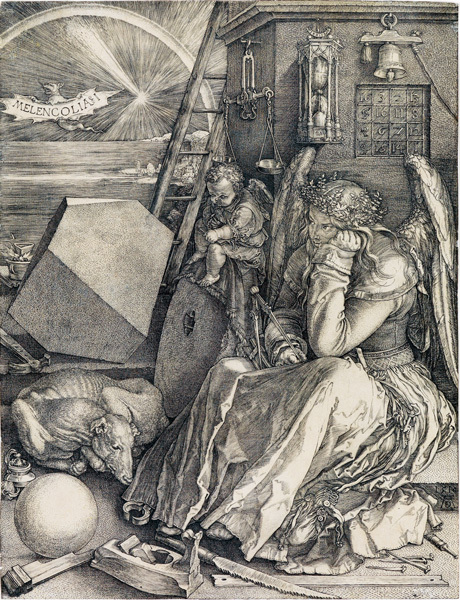 Lot 25: Albrecht Dürer, Melencolia I, engraving, 1514. Estimate $60,000 to $90,000. 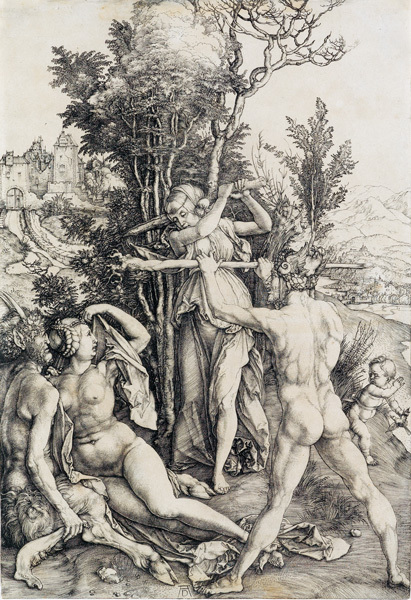 Lot 10: Albrecht Dürer, Hercules, or the Effects of Jealousy, engraving, 1498. Estimate $15,000 to $20,000. 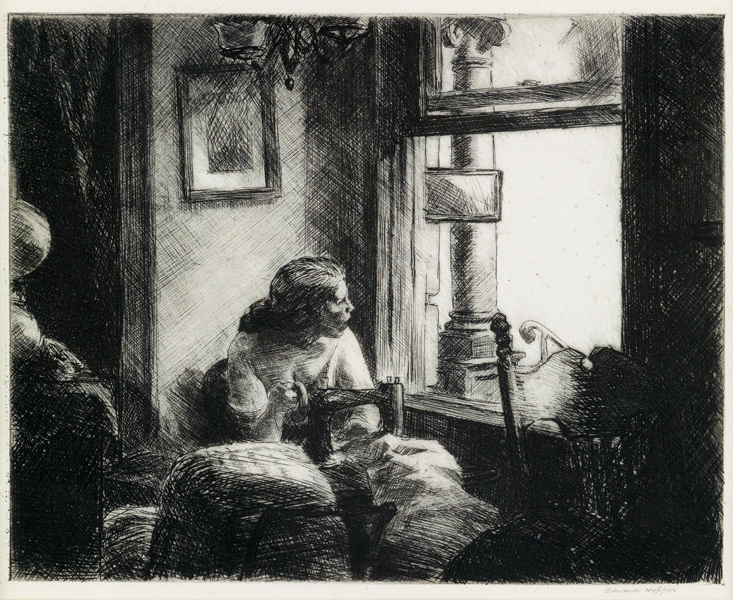 Lot 262: Edward Hopper, East Side Interior, etching, 1922. Estimate $50,000 to $80,000. 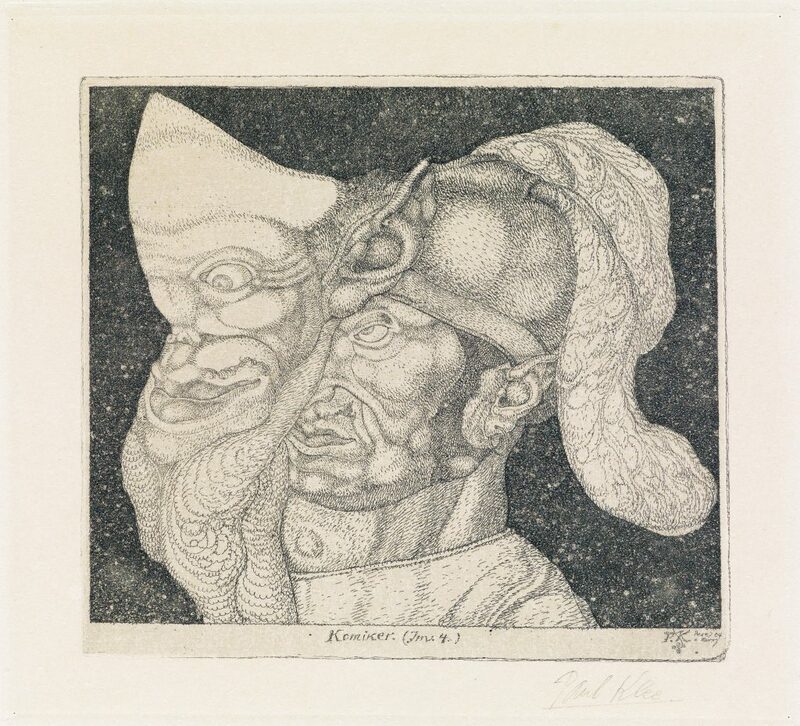 Lot 367: Paul Klee, Komiker–Inv. 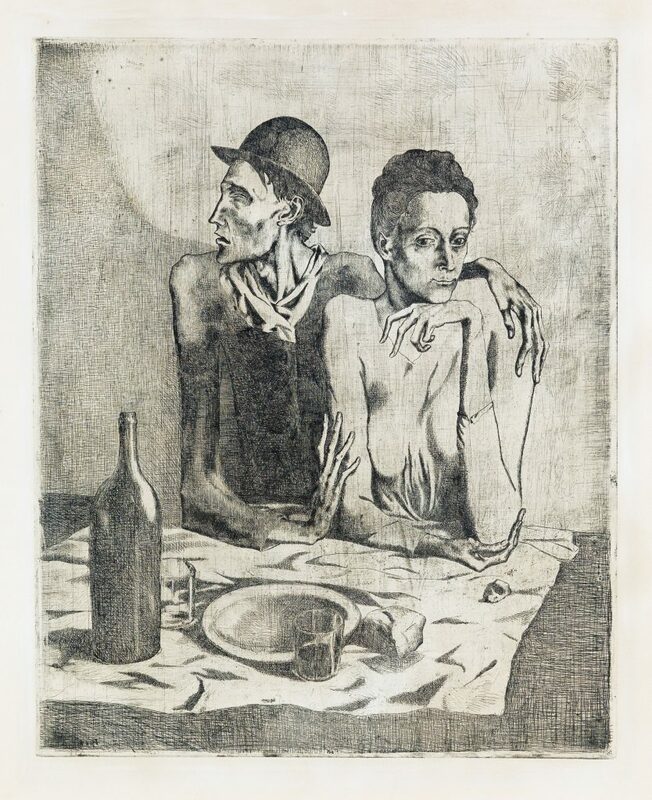 4, etching, 1904. Estimate $50,000 to $80,000. 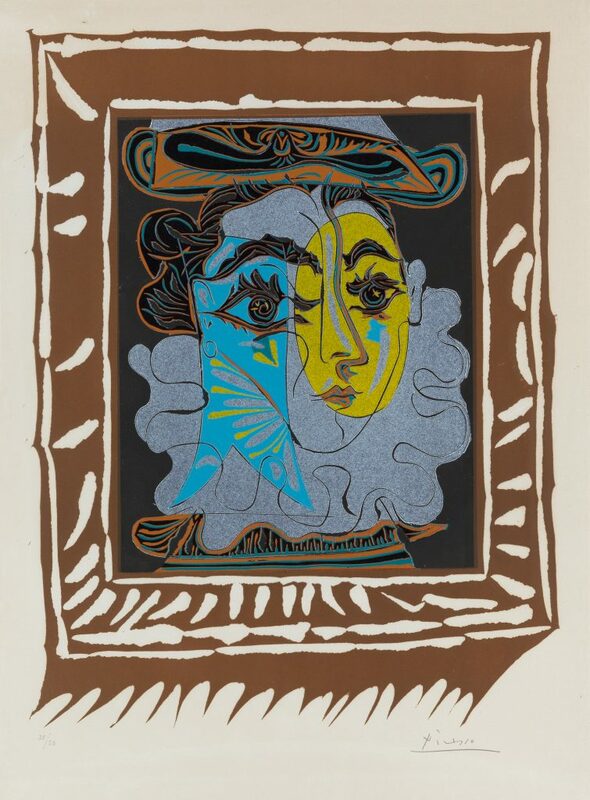 Lot 343: Pablo Picasso, La Femme au Chapeau (Portrait de Jacqueline à la Fraise et un Chapeau), linoleum cut, 1962. Estimate $80,000 to $120,000.